Hey everyone! Today I’m sharing this post by the talented Sydney Katona! She is an expert letterer. Be sure to check out her Etsy Shop if you like the freebie! Oh, lettering. It seems like everyone is into lettering lately, which is totally fine by me! The beauty of making shapes into letters and words with simple tools is never lost on me. And – you can totally create that beauty for yourself! 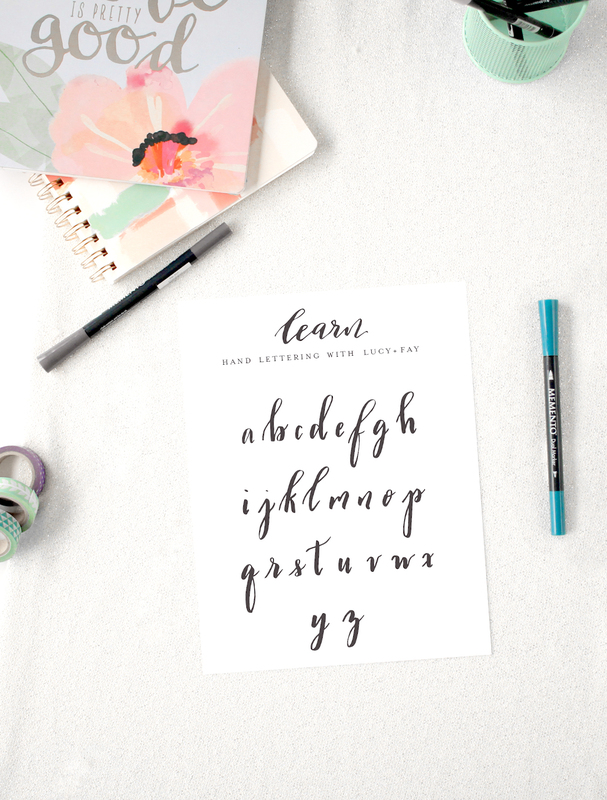 I have a free printable that will help you learn the modern lettering style and start to get familiar with these elegant shapes. I got into lettering because I was a fresh-faced bride with a small budget and a lot of free time. I had dabbled in lots of creative hobbies before, but nothing really stuck. I thought that learning calligraphy would be a good use of my time – I could apply the skill to my wedding invitations! Fast forward a bit, and I created programs, seating charts, signage, invitations, and save the dates, all with my new lettering skill. I was hooked on modern calligraphy, so I started my own company, named after my grandmothers (who have amazing handwriting) – Lucy + Fay. Teaching other people calligraphy and lettering came as the next natural step for me. I was so happy to share the love of this simple, elegant art with students. Since I started teaching, I’ve instructed over 100 people in modern calligraphy, hand lettering, wood sign creation and canvas lettering. I’ve helped mother-daughter pairs, retired crafters, and young brides just like me. But I only offered in-person classes, and I can’t help everyone from Central Pennsylvania! I also noticed that I didn’t have a great go-to resource to send to friends who wanted to learn lettering digitally. These DIY go-getters needed a straightforward source to get them started with lettering on the right foot. That’s why I wrote Quick Start Calligraphy. 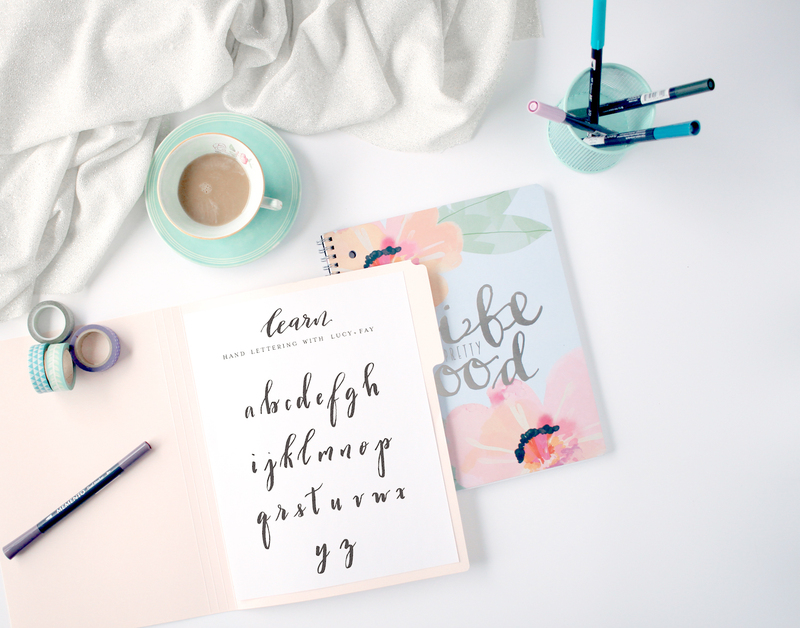 This digital workbook has everything a new lettering artist needs – and nothing they don’t. No complicated techniques, no crazy ink recommendations. Just the facts! Whether you’ve started lettering already or you’re thinking about purchasing a digital guide, having a resource to look at, trace and practice with is important. Yes – I said trace! It builds muscle memory. You’re not a cheater, I promise. 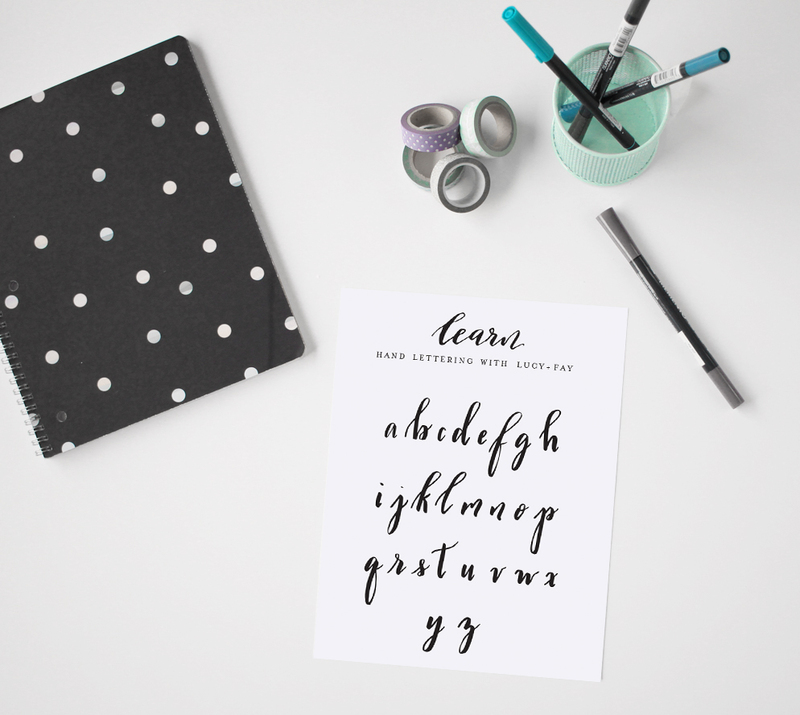 As a thank you for reading this post, you can get a free lettering printable above. I hope it fills you with the “I got this” feeling that every new calligrapher needs! Sydney Katona is a modern calligrapher and lettering lover from Central Pennsylvania. Originally from Texas, she loves sharing the art of lettering in regular workshops at The Makery in State College, PA, and at classes all over the United States. She also provides calligraphy for weddings, home decor and brand partnerships. What a great idea! I have been trying to self-teach, so a guide would be so useful. BTW, the link is blocked on this article, so you might want to take it down.